Let us combine our efforts to strengthen the European family of the European Union’s Member States in order to achieve the global objectives in its Statute related to the realization of the fundamental European values, such as ensuring lasting peace, unity, equality, freedom, security and solidarity, good welfare, qualitative education and sustainable development of the economies of our countries. For a period of 18 months, the rotating presidency of the EU Council is held by the so-called Presidential trio – three countries working closely together and with a common program. At this stage, these countries are Estonia, Bulgaria and Austria. From 1st of January to 30th of June, 2018, Bulgaria takes over the Presidency of the Council of the EU from Estonia in accordance with this rotation principle. As a leading country of the European Community for this period, in addition to coordinating and directing the work of the EU Council, our country is also committed to defining future priorities for the development of European peoples, and putting the theme of the Western Balkans and peace in the Balkans as a whole.In this context was also the meeting in the Bulgarian Black Sea city of Varna with the European Council President Donald Tusk, European Commission President Jean-Claude Juncker, Bulgarian Prime Minister BoykoBorissov and Turkish President RecepTayyipErdogan, which is considered particularly important for the European Union`s relations with Turkey. The Bulgarian Tourist Union, led by the idea of celebrating the end of the Bulgarian Presidency and its transfer to Austria, organizes on 30th of June, 2018, a representative mountain climbing the peak Chernivrah (2290 m) – the highest peak of VitoshaMountain.One of the riches of our capital Sofia is its proximity to Vitosha mountain, our city is literally in the lap of the mountain.This makes it one of the most visited mountains in Bulgaria.It is very convenient for hiking all the seasons of the year. For the numerous tourists many hiking trails have been created, which are marked with marking signs and indicative boards. So climbing the peak will be very enjoyable and exciting.The group will consist of women – one representative from a Member State of the European Union. The event is also dedicated to the 145th anniversary of the birth of AlekoKonstantinov – founder and patron of the Bulgarian Tourist Union, and to the election of Sofia as the Sports Capital of Europe for 2018. In 1895, the founder of the Bulgarian Tourist Union, the writer – publicist, lawyer and public figure AlekoKonstantinov chose as the birthplace of the organized tourism in Bulgaria the highest peak of Vitosha – Chernivrah (2290 m).This happened only 38 years after the founding of the first Alpine Society in Europe in London in 1857 and nearly 100 years after the first climbing the Mont Blanc (4810 m) in the Alps by Jacques Balmat and Michel Paccard on 8th of August, 1786. In 1808, on 8th of August, for the first time a woman climbed Mont Blanc, this is the French woman Marie Paradis.In 2008, 200 years of this important event were celebrated.When Republic of France took over the presidency of the Council of the European Union on 1st of July, 2008, in the same year the representative event “Women of Europe Climb Mont Blanc” was organized.In connection with this, and in celebration of the 10th anniversary of the “Women of Europe Climb together Mont Blanc”, we present to your attention our proposal to invite the women from the EU Member States to climb together CherniVrah (2290 m) – the highest peak of the symbol of our capital Sofia – VitoshaMountain.Let us look forward to the future of our European community, to enjoy the incredibly beautiful nature and, together with that, to share our concerns about its preservation, to declare the principles of solidarity, empathy and partnership, to confirm our efforts for better development of a united, sustainable and prosperous Europe. We propose to form a group of female tourists – mountaineers,skiers and fans of mountain nature, each Member State of the European Union indicates the name of its representative.It will be interesting to bring together women with different profiles – representatives of tourism, alpine tourism, mountaineering, sports, science, skiers, artists, writers, journalists, lawyers, doctors, politicians, teachers, business directors, public figures, members of non-governmental organizations and the spiritual sphere, cultural figures and others.Contact your federations of tourism, mountaineering and other organizations involved in mountaineering, tourism and sports to help you with choosing a participant from your country for our tourist event.The group together and organized will climb CherniVrah (2290 m) on 30th of June, 2018.In this way, we will declare our unity and vision for the prosperity of a united and sustainable Europe and symbolically we will mark together in our country that Republic of Austria will take over the Presidency of the Council of the European Union. Specifically, you are required to determine as soon as possible, until 21st of May, 2018 a woman to participate in the tourist climbing of CherniVrah (2290 m). Please confirm your participation and send us your participant’s name until 21st of May,2018, phone number, e-mail and address to contact with you and mobile phone, email and address to contact with her. For further details there is a second deadline – 18th of June, 2018, when will be the final confirmation of the participation and the names of the participants. For further information, we will be in touch during the whole preparation of the event, contact person from the Bulgarian Tourist Union: IskraCherneva, tel. : 00359 882966319,00359 887796594, email: infotourbts@gmail.com; and ElisavetaParvanova, phone: 00359 884832627, elisavetaparvanova8@gmail.com; address for the correspondence of the Bulgarian Tourist Union: Sofia 1000, 75, VasilLevski Blvd., mail: bts.sofia@gmail.com. 1. Arrival in Bulgaria at Sofia Airport on 29th of June, 2018 until 14:30(2:30 pm), after that there will be actions to prepare the event, there will be a discussion on ecology, climate, tourism, conservation of nature, briefing, press conference, a technical conference in the Ministry of Youth and Sports in Sofia. 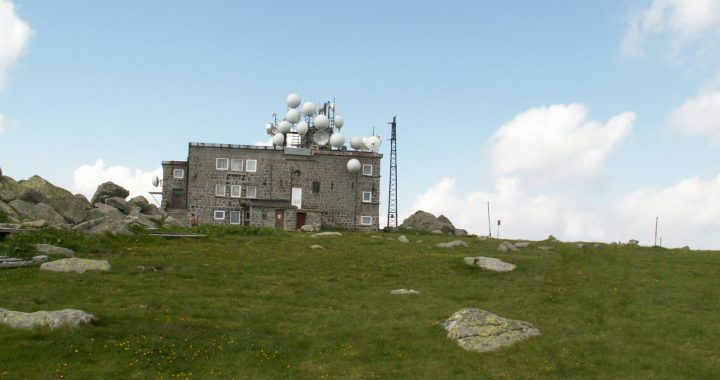 The accommodation is in Aleko hut on the Vitoshamountain, dinner. The transport in Sofia is provided by the Bulgarian side with bus. Each participant must have summer equipment – rain and windproof, sun glasses, summer and winter hat, cream to prevent sunburn, climbing shoes for a summer mountain over 2200 meters for 1 day. 2. On 30th of June, 2018, is the event – climbing CherniVrah peak from Aleko hut. Our mountain guides,mountain rescuers, mountain rescuers, prominent tourists and mountaineers, coaches and instructors will take care of security. The event will be carried out with full security requirements and signal signatures for the participants.During climbing, the requirements for mountain climbing, ethics and safety, physical and technical training, safe equipment, professional guides and attendants, as well as respect and admiration for the beauty of the great nature are respected.At the Chernivrah peak will be a greeting speech and awards to the participants with diplomas, badges and a sign for climbing CherniVrah.After coming back to Aleko hut, there will be a briefing and a press conference in the hut, as well as official awards, congratulations, plaques, gifts, souvenirs, books.Then – rest, lunch and recovery.In the evening there will be a gala dinner, a Bulgarian evening, Bulgarian folk songs and dances, mountain and Jodlersongs.Greeting addresses, plaques with edelweiss and the symbols of Sofia and Bulgaria, the Bulgarian Tourist Union, souvenirs, tourist accessories, T-shirts, gifts, flowers will be given. 3. On 1st of July,2018, – breakfast and departure. On the way to the airport there will be a panoramic tour of Sofia with a bus and a walk in the center along Vitosha Blvd., a photo for a memory at the Aleko monument on Vitosha Blvd and at the Aleko Monument in the Borisovagradina Garden. The transport costs on the territory of Bulgaria, the accommodation, the food and the guides along the route in the mountain and the safety will be paid entirely by the Bulgarian organizers in partnership with the municipalities, the European companies, the Bulgarian Tourist Union, the organizations supporting the initiative and the federations participating in the initiative “Sofia – the capital of sport for 2018”. At your disposal for any further information on the event will be our embassies in the European countries, respectively the services in Sofia and the Bulgarian Tourist Union. We sincerely hope and believe that the initiative will be well received in your country. We will be glad to meet in Bulgaria very soon the women-representatives from the EU Member States for climbing CherniVrah on Vitosha Mountain, Sofia. Please, accept our sincere and warm wishes. 15,00 – meeting, press conference and technical conference – the hall on the 5 th floor of the Ministry of Youth and Sport, 75 VassilLevski Blvd. 18,00 – departure for Aleko hut at Vitosha, arrival, accommodation and dinner (congratulations from the nephew of AlekoKonstantinov and representatives).